Vogue takes a peek into the newly-built underground collections vault of the Anna Wintour Costume Center at the Metropolitan Museum of Art, and interviews the dedicated team responsible for building and protecting the collection of more than thirty-three thousand objects from fashion history. Some pieces can hang among others on archival-grade hangers; others require custom busts to hold them up. And then there are the shoes, arranged like a candy store of Manolo, Vivier, Louboutin, and Ferragamo, each propped up on a custom set of supports and set on a board that can be moved by string handles so that the object itself is never touched. Stocking boots, back on the rise again after a ’60s heyday, present a peculiar challenge for archiving. Their lack of interior support means they must be rolled up like strudels. 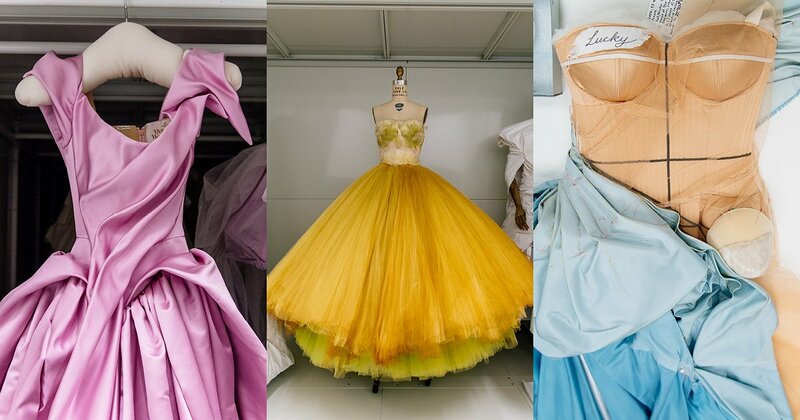 How a behind-the-scenes museum team keeps 33,000 fashion ensembles alive and looking their best. Fashion history won't be written in ink. You can't even use a pen in the library at the Anna Wintour Costume Center at the Metropolitan Museum of Art because of the potential catastrophes.